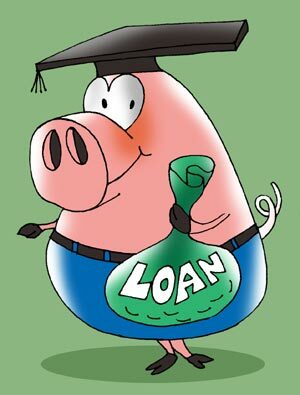 Finance Ideas 4u: Uni Education: A Necessity Priced Like a Luxury? Uni Education: A Necessity Priced Like a Luxury? A university degree is widely considered a necessity these days if one is to hope to make a decent living. Yet increasingly higher education is becoming a luxury many people simply cannot afford. The jump in tuition fees over the past few years – and talk of further increases in the years to come – have made funding a real problem for many. Although the situation is not yet as severe in the UK as it is in the US it is significant nevertheless. Recent budgetary changes may have only exacerbated the problem. But it’s not all bad news. The recent announcement of decisions to cut tax credits was quite a blow for the working poor. In London alone, the number of employed people who fall below the poverty line has risen by 70 percent. In October 2015 Chancellor George Osborne announced plans to take £1,300 a year or £108.33 a month – that’s a little over £25 a week – away from low-income families. A 37-year-old single working mum named Maria Roberts, writing in the Telegraph, says, “…a mere £25 is what Osborne might spend on a single bottle of wine. But when you are strapped for cash, like I am, £25 is equivalent to a week’s worth of vegetables, milk and eggs.” Ms. Roberts worries that despite his high marks and scholarship to a top independent school, her 17-year-old son won’t be able to attend university because it is beyond their means. “University,” she says, “is a luxury we simply cannot afford… and I need him to start contributing to the household bills.” She laments that social mobility is becoming out of reach for her family. The UK has a long way to go before becoming a truly pluralist and tolerant society. Class wars still exist, though arguably we’ve traded older forms of elitism for newer ones. Sociology professor Mike Savage has referred to the problem as the “class ceiling”, equivalent to the “glass ceiling” that women in the workforce have been battling for decades. And indeed, studies and reports on social mobility in the UK seem to offer some fairly discouraging news, which can basically be summed up by the observation that one still has a much better chance of succeeding if one was born into privilege. Universities are very much a part of this narrative. Analysis from a 2013 BBC “Great British Class Survey”, in which Professor Savage participated, suggested that those who graduate from a very few elite universities earn substantially more than those who graduate from other top-tier “Russell Group” universities. (Study results were published online under BBC/Science on 3 April 2013.) Those born to privilege are generally more likely to attend these elite universities and go on to enter elite professions, passing the traditions down to the next generation. But there’s more to this story. Greater social mobility would go a long way towards shattering the “class ceiling”, and there may be some encouraging news on that front. To begin with, there are flaws in some of the older studies from the early 2000s that emphasised Britain’s relatively low social mobility, according to experts such as John Goldthorpe, a University of Oxford scholar of the issue. Professor Goldthorpe says one of the problems lies in poor data sets used in most studies, and analysis that conflates absolute and relative changes. That’s not to say we should stop worrying about poverty, social inequality or stagnant social mobility. And the very real experiences of struggling single mums or uni students can’t be dismissed. At the risk of stating the painfully obvious, overall one is still better off if born into a world of wealth and privilege. But the larger picture is more complex than most of the studies, and certainly most of the political rhetoric, would have us believe. And as new generations and more innovative technology emerge, there’s good reason to believe there will be new routes to success – including paths to higher education – that are reachable even for those in less privileged circumstances. Sometimes you have to run away from home to find yourself. Meanwhile, though, there is the matter of funding that still-necessary university education, and this can be a huge source of stress for prospective uni students and their parents. Even though tuition loans and maintenance loans are available for those who qualify, they are often not enough to cover all expenses. (Moreover the prospect of starting out one’s working life with a heavy load of debt – even if all of it doesn’t have to be paid back – is hardly a cheery one.) Money to fill in the gaps has to come from somewhere, and for many uni students life is a continual struggle to make up for the shortfall. But some students are finding creative solutions to these problems – and they’re doing it by running away from home, in a manner of speaking. They are choosing to live and/or study in another country, in some cases saving thousands of pounds on tuition and accommodation. Several European countries are offering very cheap or even free tuition; Germany, for instance, has abandoned its university tuition fees for German and international students alike. Although language and cultural barriers might pose a problem for some students, those who can overcome these obstacles may find the experience to be very rewarding on many levels. As long as university education remains a necessity that is, under conventional terms anyway, priced like a luxury, young people will continue to seek out creative alternatives. It’s encouraging to know that there is more than one way to get the education and earn the credentials needed to give one a fighting chance at a successful and productive life.